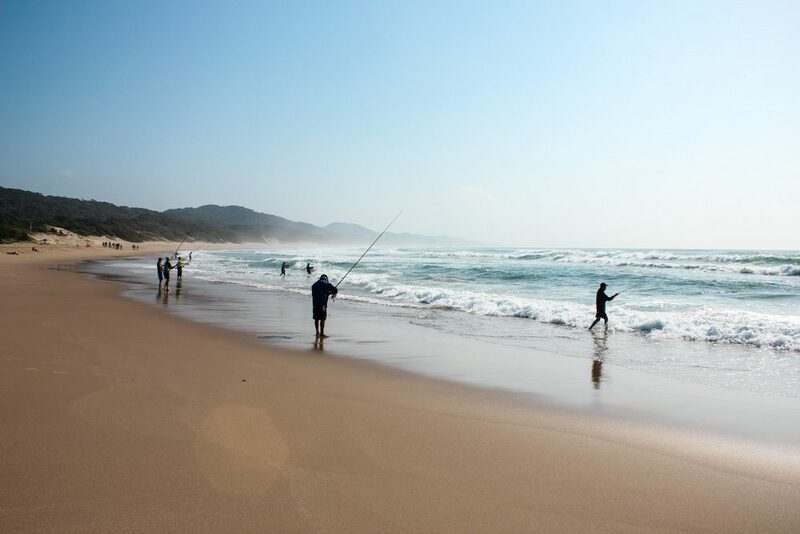 iSimangaliso Wetland Park is one of the jewels of South Africa’s coastline, with a unique mosaic of ecosystems – swamps, lakes, beaches, coral reefs, wetlands, woodlands, coastal forests and grasslands – supporting an astounding diversity of animal, bird and marine life. The variety of natural settings, the abundance of wildlife, and the sheer beauty of the place draw tourists to the area in increasing numbers. There is plenty to do – from fishing, boating and scuba diving to hiking, horseriding, game viewing, whale and bird watching. The park is one of South Africa’s most popular fishing destinations, lending itself to rock and surf fishing, kite fishing, spear fishing, fly fishing, estuary fishing and deep sea fishing. There are plenty of hiking trails through the park – ranging from a few hours’ to a few days’ worth – offering the opportunity to see a huge variety of animal and bird life. Accommodation options are extensive, ranging from camping to private game lodges, and including hotels, flats and chalets in the nearby town of St Lucia. It is South Africa’s third-largest park, spanning 280 kilometres of coastline and made up of around 328 000 hectares of pristine natural ecosystems – including swamps, lake systems, beaches, coral reefs, wetlands, woodlands and coastal forests. The park takes in a 60-kilometre river mouth that creates a huge estuary, Lake St Lucia, running parallel to the coast and separated from the sea by the world’s highest forested sand dunes. 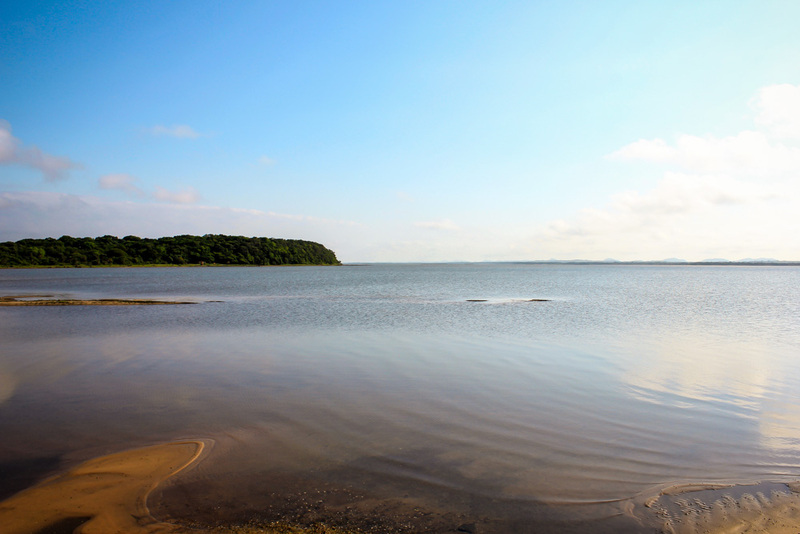 The lake is part of the St Lucia estuarine system, the largest estuarine system in Africa. iSimangaliso’s wide variety of ecosystems and natural habitats provide for an astounding diversity of species in the area. 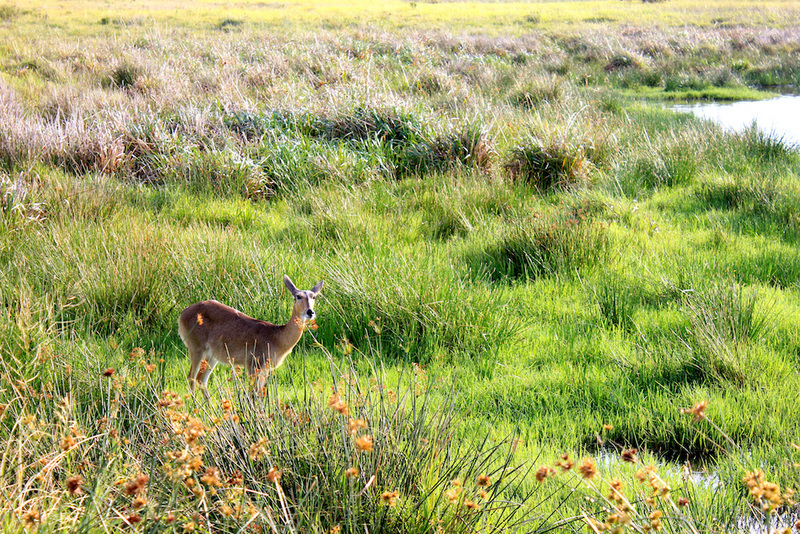 With its lakes, lagoons, freshwater swamps and grasslands, iSimangaliso supports more species of animal than the better-known and much larger Kruger National Park and Okavango Delta – from the country’s largest population of hippos and crocodiles to Giant Leatherback turtles, black rhino, leopards, and a vast array of bird and marine life. According to Living Lakes, more than 530 species of birds use the wetland and other areas of the Lake St Lucia region. “These waters also are graced by 20 000 greater flamingos, 40 000 lesser flamingoes, as well as thousands of ducks. With 36 species, this area has the highest diversity of amphibians in South Africa. In 1996, the South African government followed the recommendations of an environmental assessment in barring the mining proposals – and began work on an integrated development and land-use planning strategy for the entire region. St. Lucia was first named in 1554 as ``Rio de la Medaos do Oura`` (``River of the Dows of Gold``) by the survivors of the Portuguese ship Saint Benedict. At this stage, only the Tugela River mouth was known as St. Lucia. Later, in 1575, the Tugela River was named Tugela. On 13 December 1575, the day of the feast of Saint Lucy, Manuel Peresterello renamed the mouth area to Santa Lucia. 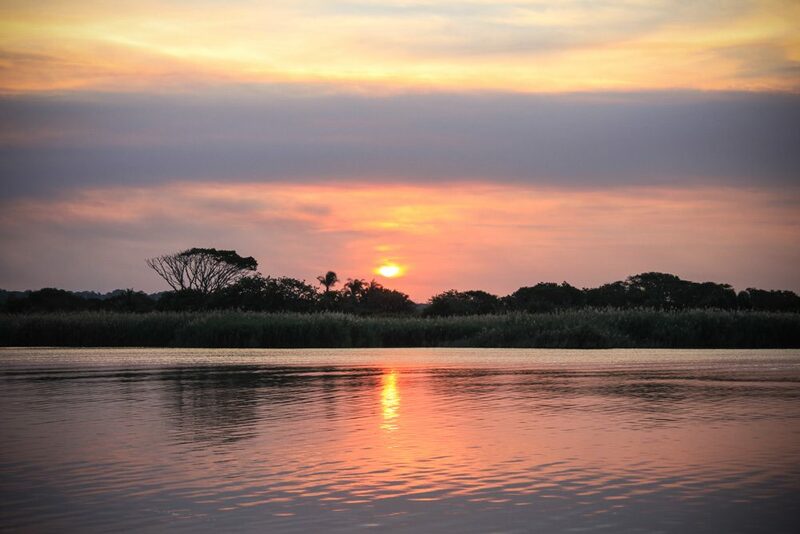 In 2011 iSimangaliso publicised its strategy to let the uMfolozi River and Lake St Lucia rejoin in a bid to restore the functioning of South Africa’s largest estuarine system. Since 1952 the uMfolozi River has been deliberately kept separate from the St Lucia system, which has reduced freshwater inflow to the system and interfered with natural mouth dynamics. These factors, combined with below average rainfall conditions during the 2002 – 2010 period, have resulted in the St Lucia estuary mouth remaining closed to the sea for the best part of the last decade. This has meant that St Lucia has not functioned as an estuary and fisheries (such as the inshore line fish and crustacean fisheries) have been heavily impacted. The relinking of the uMfolozi River back to the St Lucia Estuarine Lake System is an important first step towards the Restoration of Estuarine function. 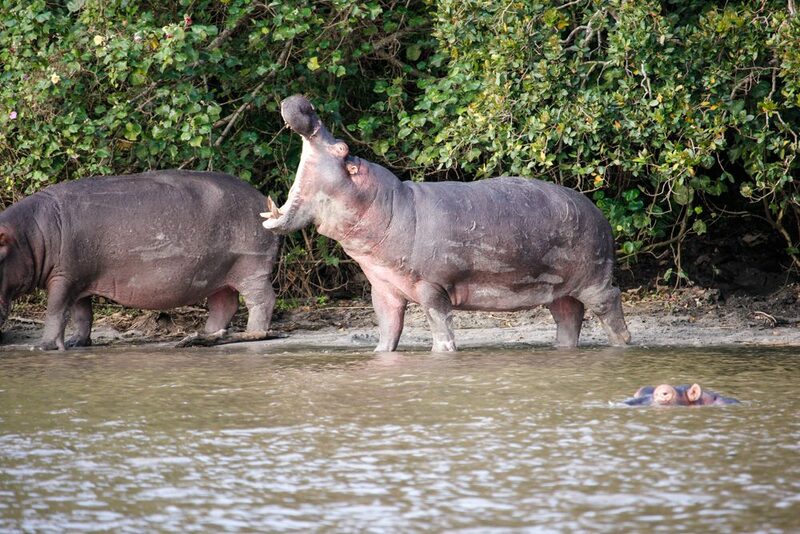 Since the beginning of summer the uMfolozi has migrated naturally northwards from Maphelane towards St Lucia. As winter approached and water flows in the uMfolozi dropped this migration slowed and the uMfolozi reached to within 300 m of the St Lucia mouth. This placed the system in a good position for iSimangaliso to facilitate the linking of the two systems. To achieve this, iSimangaliso, together with Ezemvelo KZN Wildlife, used a tracked excavator to establish a beach spillway between the two mouths during early March 2012. 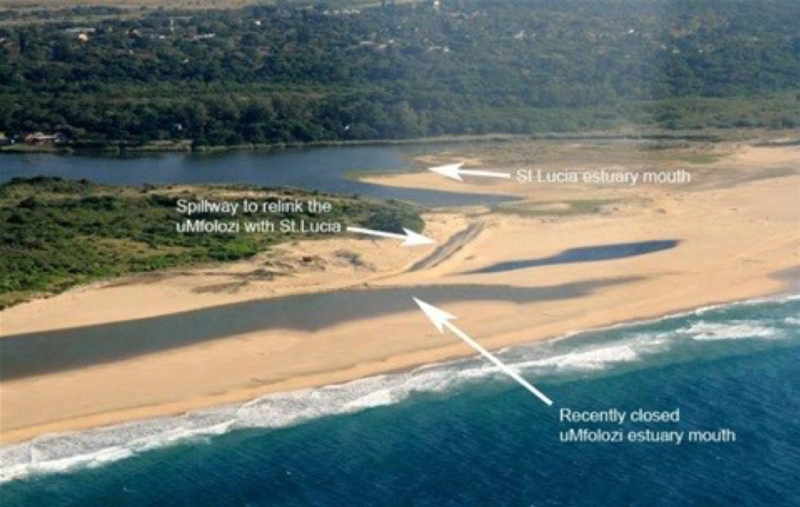 The spillway was prepared as far west on the beach as possible along a route previously followed by the uMfolozi River where there is a natural slope from the uMfolozi to the St Lucia system. This entailed the removal of old dredger spoil and marine sediments. The process of spillway construction was carefully monitored by Park ecologists and iSimangaliso GEF project specialists, including an assessment of the optimal time for rejoining. Due to the beach profile, it was necessary for the uMfolozi mouth to be closed prior to the final linking of the system. Also, a closed uMfolozi River Mouth would lead to water flowing into the St Lucia system through the dry winter period. The final stage of constructing the spillway was left until the uMfolozi mouth closed. The conditions in the combined system will continue to be closely monitored during this important time. Surveys of the system conducted by Oceanographic Research Institute (ORI) in May 2012 show that the rainfall through late summer and autumn has lowered and maintained salinities around or below that of sea water (35) throughout the system (dark blue line in graph below). Data from the November 2011 survey by CRUZ from the University of Zululand and ORI is shown for comparison (light blue line). The salinity level in North Lake currently varies from slightly above sea water in the north to about 19 in the south (Dead Tree Bay). South lake from north to south has fairly constant lower values of 5. 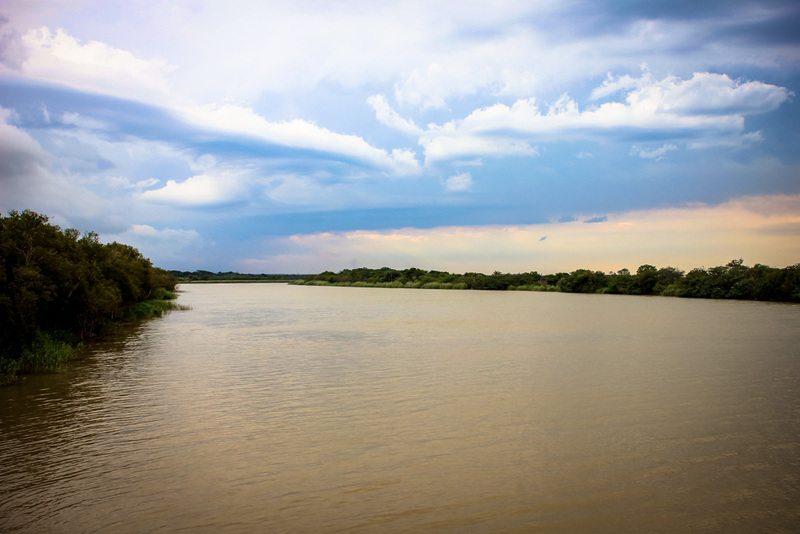 The salinity in the Narrows has increased since November as a result of the influence of marine water entering through the backchannels during each high tide while the uMfolozi river has been open to the sea. The current salinity profile from north to south still represents a reversed salinity gradient not normally found in South African sub-tropical estuaries.